As the smartphone creeps into more areas of our life, it’s easy to forget that one of the first markets that it cannibalized was that of the portable media player. Apple’s own iPod was almost killed by the iPhone, and there were few tears shed when it did. What this goes to show is that the smartphone in your pocket is most likely also your primary music listening device, which means you probably have some headphones plugged into it. Now sure, there are Bluetooth headphones out there, but they’re usually a little on the expensive side. It’s also possible that you have a particular favorite pair of expensive high quality headphones, but they’re just not available in wireless form. 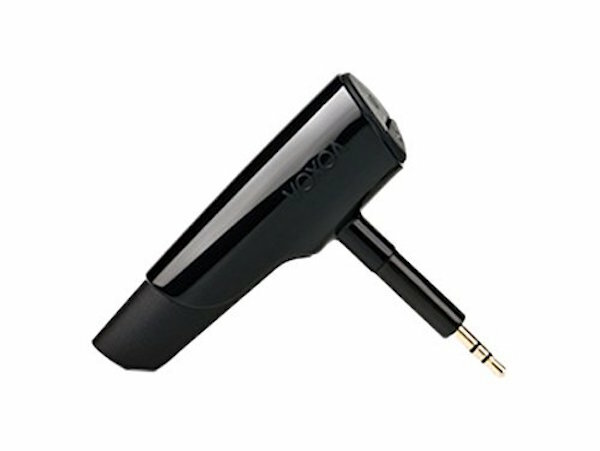 What you need is something that will take audio from your smartphone, via Bluetooth, and then push it into your existing wired headphones or earbuds. That’s the idea behind BTunes. Available for $99 – it’s not exactly cheap – the BTunes device is actually a product of Kickstarter, and the idea behind it is actually simple, yet it’s also actually rather clever. The BTunes device itself is a small Bluetooth receiver that also has a 2.5mm or 3.5mm headphone jack on the end, depending on which model you go for. The idea behind that jack is to then plug it into your headphones of choice. Now at this point it should be obvious that this product is only going to work with headphones that have detachable cords, but most of the best ones do and you can even include Apple’s own Beats amongst them. Because the connection is over Bluetooth, the BTunes device also acts as a wireless headset, with a built-in microphone making it possible to not just take calls, but also invoke Siri, or Google Now. Or whatever other personal assistant you’re using this week. You can check it out in action in the video embedded below. It may not be perfect – the connection is still over Bluetooth, after all – but if you’re fond of a particular pair of wired headphones and they have a detachable cable that you want to add Bluetooth wireless connectivity to, then the BTunes Bluetooth receiver may be just the ticket. It’s not cheap, but if it falls a void for you it’s probably going to be worth every last penny. I don’t think this is a great solution at all. It makes your expensive headphones look cheap. I would not put this on my Bose headphones at all. No way would I hang that of my Grados but I’d love a DIY kit to mod them internally. For now my Jaybird X2’s will have to do. Sony MW600 is like 50$ does everything described here and you can even switch to FM radio (especially a nice features for countries outside of the USA where FM radio broadcasting is of very decent quality). This sounds great if you have a car with Aux in and no Bluetooth. Instant connection with you car’s speakers. Will this work with the 6th gen iPod Nano? Nothing new here. A simple search of Bluetooth Adapter will reveal a ton of options. I picked up a Tzumi Bluetooth adapter on eBay for $10 shipped. 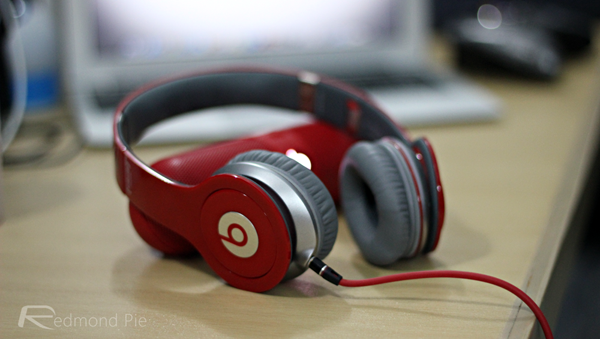 Use it with my wired Beats Solo II… Works great. Lol, I got one of these like 5 years ago for 20$ on EBay..
Just search EBay or Amazon for “Bluetooth headphones adapter”. There’s many options for less than 25$. Funny I just got 3 Bluetooth adapters to try out, $15, $20, and $25, 2 of them came with headphones which wasn’t in the description but the surprise was that those headphones sounded really great and have a short wire which is the best part so it seats on you like a necklace, but I wanted to test all 3 on my beats and to my surprise the $20 one out preformed all of them, no degradation in sound and controlled the iPhone perfectly so now all I need is to buy a 2.5 headphone plug kit, cut my beats wire and solder it so it will also sit on my chest like a necklace for easy controls and no mess of wires.